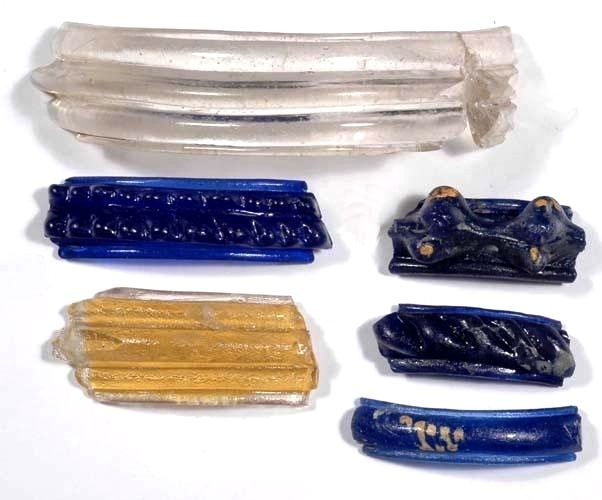 While the production of glass jewelry had been a feature of Celtic culture since the Bronze Age, from a technological and artistic perspective the middle La Tène period, specifically from the 3rd century BC onwards, marked a revolution in European glass production. 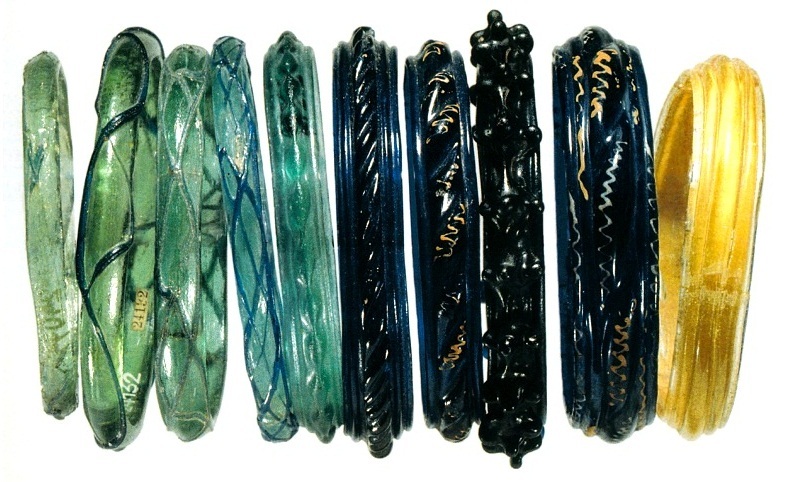 High quality glass jewelry, particularly bracelets, which has been found at all the better investigated Celtic sites of the middle and late La Tène period, displays a wide typological variety hitherto unseen in Europe. 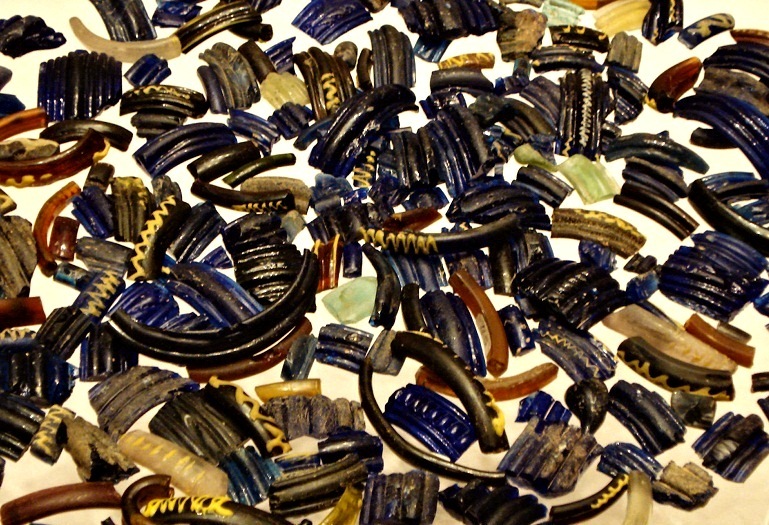 Archaeological evidence clearly indicates that during the latter period Celtic glassmakers mastered to perfection not only the skill of creating ready-made products, but also how to control the chemical composition of the raw material in order to achieve the optimum quality, transparency and colour (Karwowski 2012). 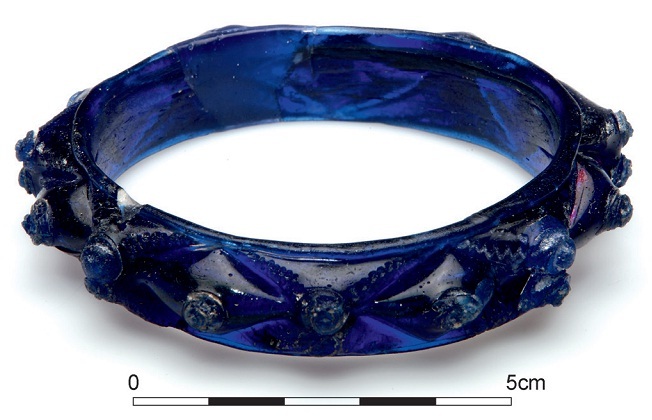 Bracelet of blue glass beads from the Balkan Celtic settlement at Osijek in eastern Croatia. 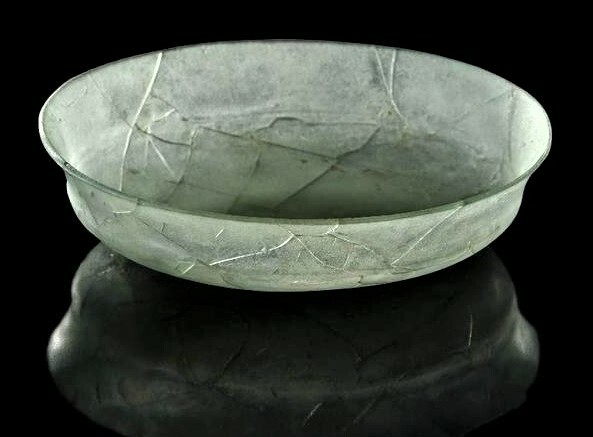 While evidence of glass production has been discovered at a large number of sites, it is interesting to note that the vast majority of these are not oppida, but large settlements of an open character dating to the middle La Tène period, i.e. date to the period before the oppida emerged. Notable examples of such include Nìmèice in Moravia (Venclová 2006, Venclová et al 2009), Etzersdorf in Lower Austria (Karwowski 2004, 46), Egglfing in Bavaria (Uenze 2000, 17–20), the settlement complex at Dürrnberg in Salzburg (Brand 2002, 110–113), and the open settlement on the site where the oppidum at Manching in Bavaria later emerged (Gebhard 1989). 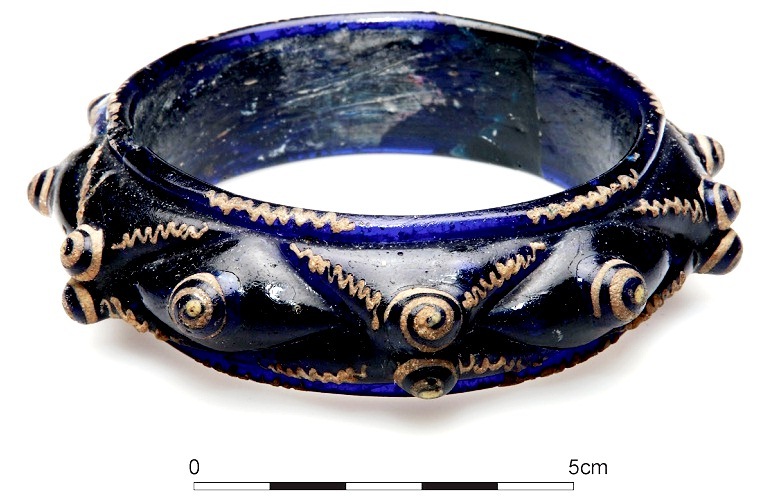 Probably the most exquisite example of such Middle La Tène arm rings are the “Érsekújvár” type, produced by the Eastern Celts. 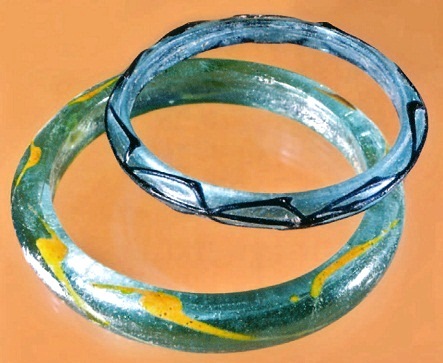 Such bracelets are of high quality blue glass with white opaque glass used to further highlight the relief; the composition, based on triangular/rhomboid forms with zig-zag/spiral decoration, thus creating the impression of human eyes. 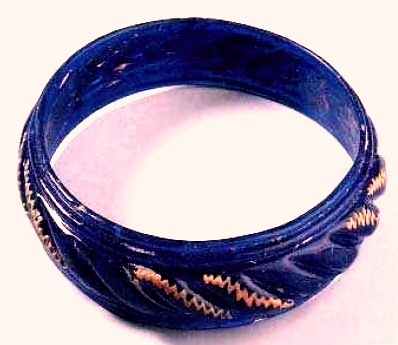 Bracelets of the Érsekújvár type were popular among all the eastern Celtic tribes. 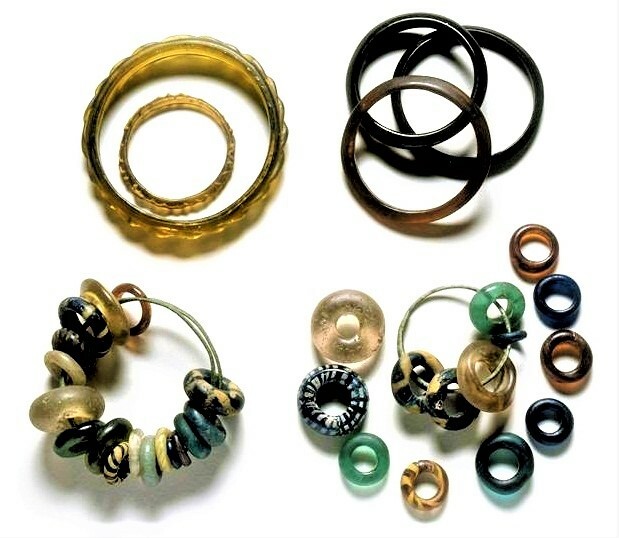 Besides Hungary and Slovakia, where the most intense concentration of such arm rings has been registered, examples have been found in Celtic settlements and burials in eastern Austria, the Czech Republic and southern Poland, as well as among the Balkan Celts, notably the Scordisci. The easternmost example yet recorded was discovered during excavations at the Greek colony of Tyras – today’s Bilhorod-Dnistrowskyj in the Odessa region of Ukraine (Karwowski, Prohászka 2014). Brand C. (2002) Graphitton und Glas: Studien zur keltischen Keramik- und Armringproduktion vor dem Hintergrund Dürrnberger Siedlungsfunde. In: Claus Dobiat/Susanne Sievers/Thomas Stöllner (Hrsg. ), Dürrnberg und Manching. Wirtschaftsarchäologie im ostkeltischen Raum. Kolloquien zur Vor- und Frühgeschichte 7 (Bonn 2002) 107–116. Gebhard R. (1989) Der Glasschmuck aus dem Oppidum von Manching. Ausgr. Manching 11 (Stuttgart 1989). Karwowski M., Prohászka P. (2014). Der mittellatènezeitliche Glasarmring von Komjatice/Komját. BemerkunGen zu Den Keltischen armringen Der Form „Érsekújvár” AAC 49: 231–248. Uenze H. P. (2000) Die jüngerlatènezeitliche Siedlung von Egglfing. Bayerische Vorgeschichtsbl. 65, 2000, 1–38. Venclová N. (2006) Le verre celtique de Nemcice nad Hanou. In: V. Kruta (Hrsg. ), Les Celtes en Bohême, en Moravie et dans le nord de la Gaule. Dossiers d’Arch. 313, 2006, 50–55. Venclová et al. (2008) Venclová N., Drda P., Michálek J., Vokolek V., Výrobní areály a activity. In: N. Venclová (Hrsg. ), Archeologie pravìkých Èech 7 – Doba laténská (Praha 2008) 53–82.